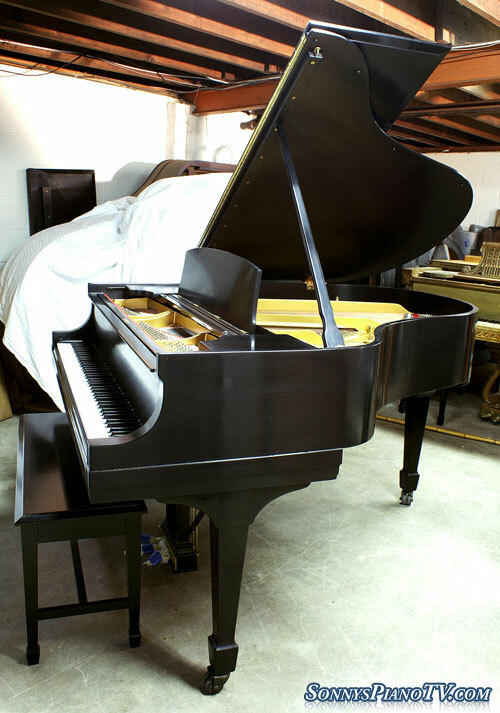 Steinway Piano Grand Model M 5’7″ Ebony Total Rebuild by Former Steinway Rebuilders $25,500 – See Video Tour! Steinway Piano Model M Grand, Total Rebuild all Steinway parts. New beautiful hand rubbed satin finish. As good or better then any new Steinway. Made in 1930 the “Golden Era” of Steinway piano manufacturing in this country. Listen to the quality of the tone. Rich and sublime. Just remarkable piano. One of the best you will ever hear. Questions? Call Sonny 631-475-8046. Steinway Grand Piano Model A, total rebuild and customized case around 25 years ago, looks like work was done yesterday. High Gloss Ebony “Modern Style” Case. Piano rarely played after rebuild. This is the only one like this. Work done by Cammalieri, Master NY Technician and Rebuilder. Warranty. Questions? Call Sonny Direct at 631 475-8046. 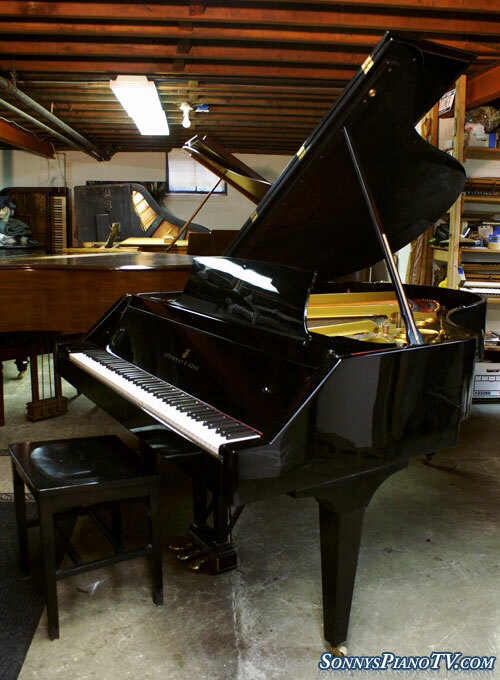 Steinway Grand Piano “Stretch” 1924 Model A 6’4″ “Total Rebuild”$29,500 – See Video Tour! Click Here To See Sonny’s Steinway Model A Video Tour! Steinway Grand Piano Model A 6’4″ known as the “stretch” A because the usual A’s were either 6’1″ or 6’2″… this is a 6’4″ and they only made a few hundred of these during the 1920’s. This piano is more like a B than an A yet has a refinement that you’ll find in very few Steinway or other pianos. This piano was completely rebuilt with all Steinway parts by former Steinway Technicians here in NY this past year 2010 and has not been out of the workshop. New sound board, pinblock, new strings, hammers and shanks, wippens. In fact the only thing that is not new is the cast iron plate and the case. All Steinway parts. Also high end hand rubbed satin ebony finish.This is an incredible sounding and looking piano. For the piano connoseur. Call Sonny at 631 475-8046 for questions and to make an appointment to come and play it if you like. Yamaha G3 6′ Walnut Grand Piano. G3’s are renowned for being great instruments, in later years replaced by the C3. The Yamahas from the 60’s were the first to come into the country and were very well made as Yamaha wanted to make a good impression with their first pianos. This one is in excellent condition both inside and out. One owner family. Played lightly. Our furniture department and technicians went over it and it’s ready for a new home and to last indefinitely. Warranty & Free LI/NYC delivery. All else continental USA only $475. for shipping and set up in your living room. Questions? Call Sonny Direct 631 475-8046.